Peter Dawson is a consultant and writer. 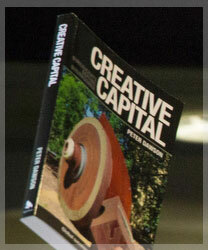 His book Creative Capital describes Canberra’s innovation ecosystem and the global businesses it has fostered. He also maintains a strong interest in business relations with Indonesia. Peter Dawson works with small to medium-sized companies on strategic planning and management utilising Lean Thinking concepts (which derive largely from the Toyota Production System). His focus is on identifying what represents value to the customer, how the enterprise can best deploy its resources to deliver that value and thereby command the best margins of profit.